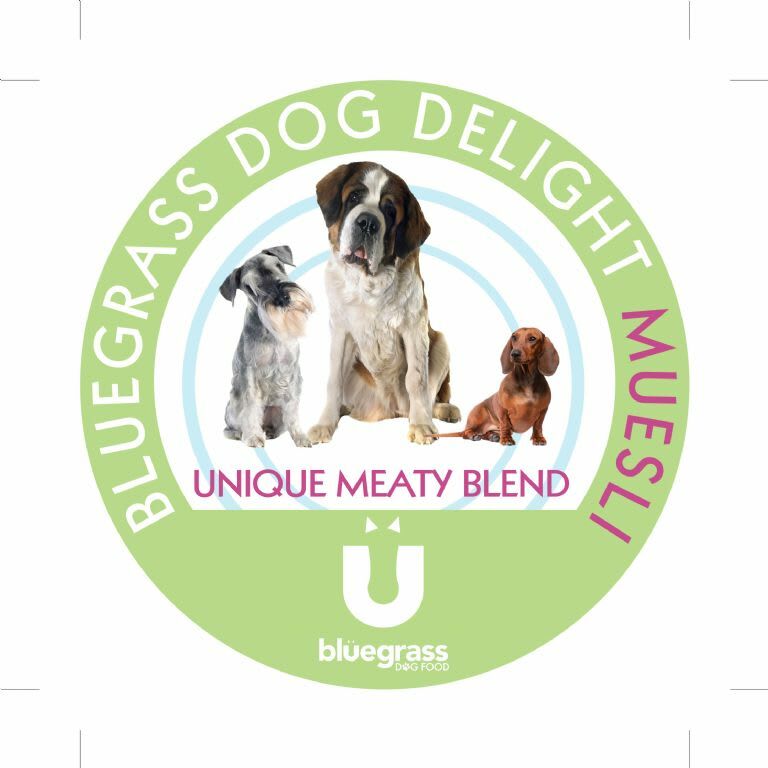 Bluegrass Dog Delight Muesli is a unique moist blend of the finest ingredients, all carefully cooked to produce a complete palatable feed for working dogs. Made with the highest quality ingredients, Bluegrass Dog Delight Muesli is a hypo-allergenic feed specifially desigened to promote gastrointestinal health and wellbeing ideal for sensitive dogs. The flavours are sealed with a glaze of natural oils providing a moist but crunchy palatable food, promoting healthy teeth and gums. The higher fat content promotes a healthy shiny coat to reduce the occurance skin irritations and infections. RIBOFLAVIN (B2) -Important for healthy skin, eye, and paws. Helps release energy cells. ZINC- Important for healthy skin, hair, paws and immune system.